Alarms about poor preparations for the constitutionally-mandated 2020 Census are ringing across the nation. The Tar Heel State, and our almost 10 million residents, have a large stake in a fair and accurate census. The U.S. Constitution requires a new count of the country’s population every ten years. It’s a massive undertaking, involving more than a decade of planning, elaborate tests of new counting methods, extensive outreach to a more diverse and mobile population, and hiring a temporary workforce of more than half a million to contact those who fail to self-respond. But so far, our nation’s policymakers have severely underfunded preparations for the 2020 Census by hundreds of millions of dollars. 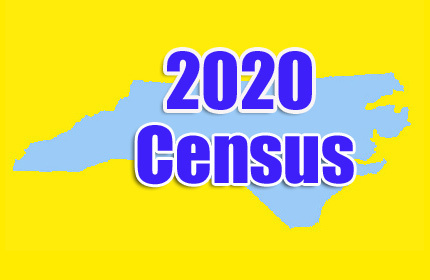 Continuing this path will most certainly lead to a poor census and the risk of hundreds of thousands of North Carolinians being missed in the count. This will especially affect young children. Regrettably, children ages 0-4 are at a higher risk of being undercounted in the census. The Census Bureau estimates more than 25,000 young children in North Carolina were not counted in the 2010 census, the eighth highest state count in the country. Census data guides more than $16 billion annually in federal funds to the Tar Heel State. These funds are for such vital needs as Medicaid and Medicare (Part B), Head Start, school lunch programs, highways and transportation, and housing assistance. All depend on the census count. In fact, in the early years of the Children’s Health Insurance Program (CHIP), North Carolina’s federal block grant allocation for the program was exhausted mainly due to a large undercount of our child population. In addition to directing the allocation of federal resources, the framers of the Constitution intended the Census to ensure the fair allocation of political power. 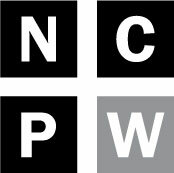 Population data from the census are used for the reapportionment of congressional seats and the redistricting of North Carolina’s state and local government political districts. Just as importantly, census data are used in civil rights and voting rights enforcement. The information is used to protect access to the ballot, to monitor discrimination, and to examine economic equality. Presently, the Census Bureau’s annual budget sits stalled at last year’s level because of a continuing resolution passed by Congress and signed by President Donald Trump. The administration and Congress have yet to act on more funding. Meanwhile, census experts point to a traditional “ramp up” of billions of additional dollars needed to accelerate planning for the next decennial census, as has occurred in the past. Historically, the Census Bureau put serious resources into neighborhoods with large communities of color. This trend is now threatened by insufficient funding for the 2020 Census. In North Carolina at least 9.5 percent of residents, or about 900,000 people, are in localities least likely to be fully counted because they reside in what the Census Bureau calls “Hard-to-Count” tracts. Minorities make up a large portion of these tracts. In North Carolina, 16 percent of African Americans, 17 percent of Latinos and 14 percent of Asians live in Hard-To-Count areas, according to the Census Bureau. North Carolinians cannot afford to wait until 2020 to protect our stake in the national head count. The time to send an alarm to Washington, D.C. policy makers is now. The Trump Administration recently asked Congress to increase funding for the Census Bureau in 2018 by $187 million to make up for past underinvestment. We believe the appropriate increase is closer to $400 million to get started in outreach, partnership and testing of new operations that hope to ensure a complete, fair and accurate count. Historically, North Carolina’s congressional delegation has sometimes been held in the balance because of census results. In 2000 our state ended up winning an extremely close battle with Utah for the final seat, out of 435, in Congress. North Carolina won the seat by a margin of just over 800 people. We encourage readers to contact their Senators and Representatives in Washington, D.C. now, before the final 2018 funding bill is considered in December. Our state has too much at stake for the next decade to settle for anything less. Adam Sotak is the Public Engagement Director for the children’s advocacy group, NC Child.